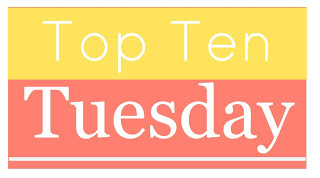 Top Ten Tuesdays meme hosted by The Broke and The Bookish and this week’s theme is the books I’ve read in 2015. Eh, that makes eight, not ten. I’ve been busy with my own writing and moved to a different apartment, as as result I haven’t been able to read as much as I’d like to. What is your top ten? Share your blog link in the comments below! Great list! I started reading The Blade Itself while I was at uni and then I got distracted by something (an essay, no doubt) and I didn’t pick it up again. I really need to try reading it again because I remember really enjoying what I read! Ah, I just can’t put it down -Glokta is quite a character! Great list, lots of epic fantasy. The color of the links kind of gets lost in the color of that background. Awesome list. I really want to check out Patrick Rothfuss’s series. Thank you! I wrote spoiler-free reviews for both of the Rothfuss books. I read them in less than 2 weeks, they are really that good! As I read about a book a day. I haven’t thought about a top ten. Recently I am reading Rhys Bowen Her Royal Spy ness and Molly Bowen. I am also reading Spencer Quinn Chet and Barney series. Wow, I wish I could read that fast but my writing schedule and day job aren’t really allowing it. It takes me a week to finish a book, sometimes even two weeks. Looks like you read literary fiction and no genre fiction, so I think you might like The Broken Empire by Mark Lawrence, that’s the one thing from that list literary fiction lovers would enjoy. It’s deep, dark, featuring a heavily damaged sociopathic protagonist. The other thing you might like is The First Law trilogy, it’s worth reading for that Sand dan Glokta character alone. Both series have superb characters.